Last night we celebrated St. Stephen’s day, which commemorates the transfer of St. Stephen’s old bones relics to Buda. 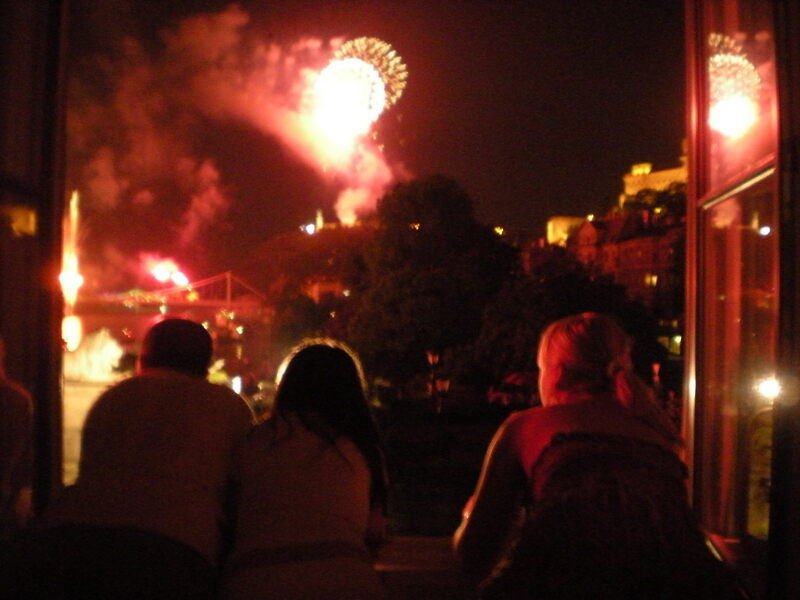 There is a list of Christian events planned throughout the city, including a holy parade and traditional mass at the basilica, but for the average Janos, the real show is the spectacular fireworks, accompanying music and celebrations. 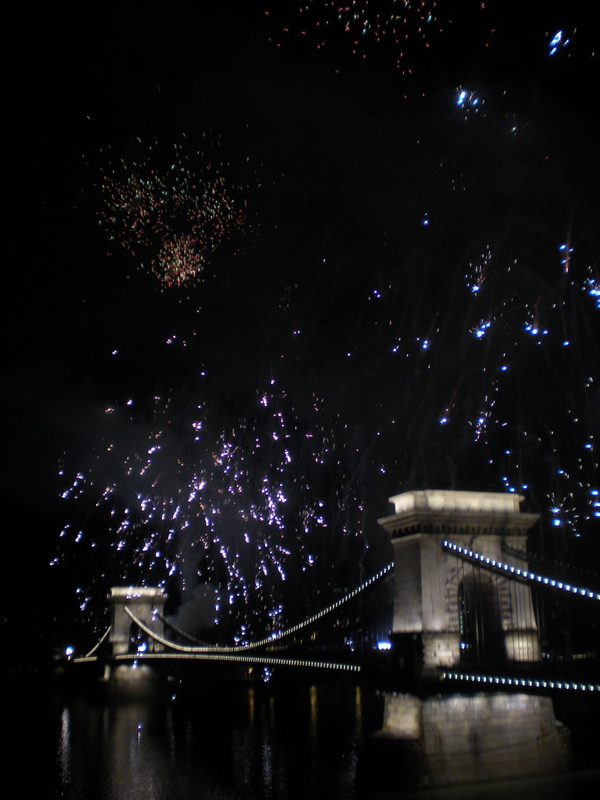 The whole event was stunning and we were so fortunate to be able to watch the show from the offices of where Györgyi works in the chain bridge palace. 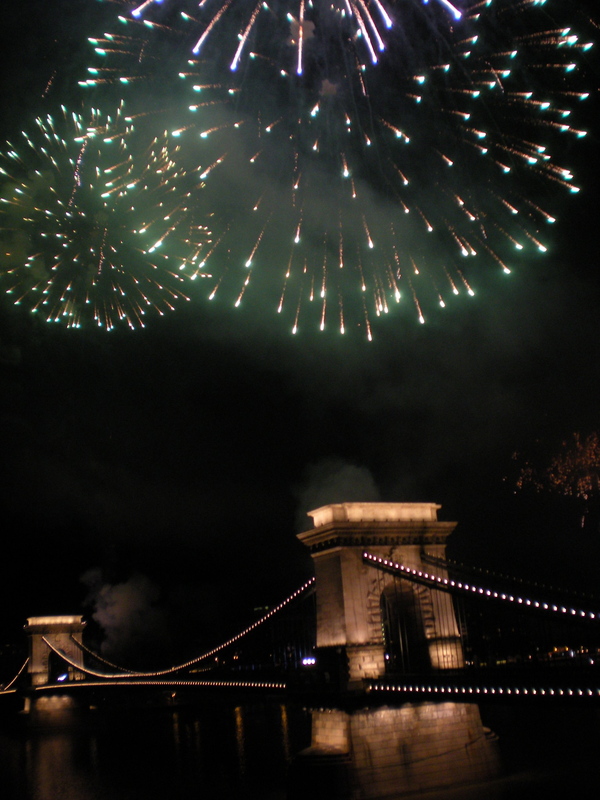 Fireworks explode from everywhere (the three central bridges, the National Gallery, Gellért Hill, and even in a specially built pontoon station in the Danube, which had never been used before on a river). 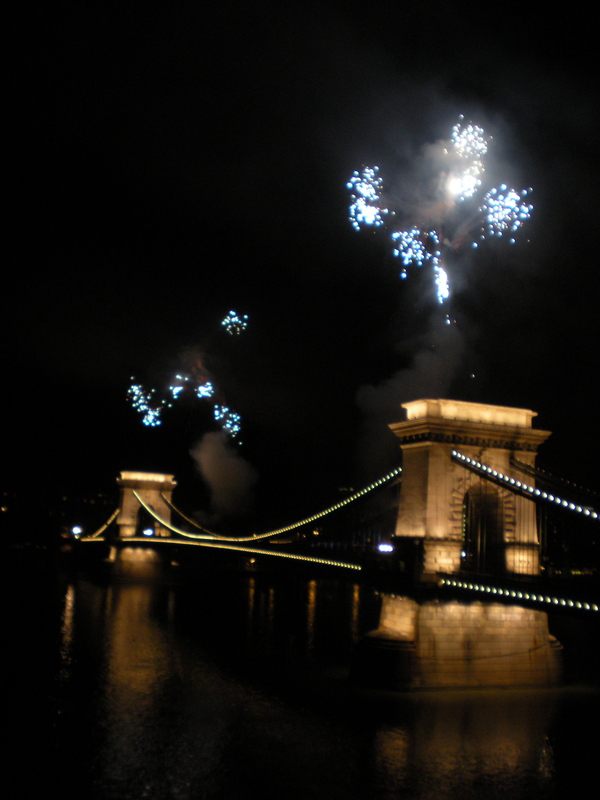 Accompanying the fireworks show was music by the composer Imre Czomba, which featured songs by soprano Erika Miklosa and tenor Attila Fekete. I took less pictures this year because it’s just impossible to capture how amazing it is without ruining the experience of watching it, something I learned from last year. 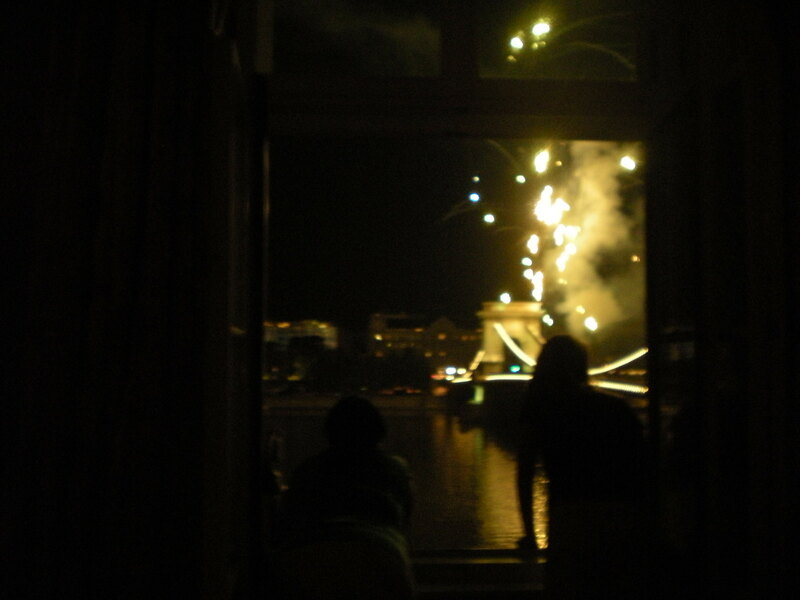 I took a short video, but it was at the very beginning so you’ll hear a lot of Hungarian oos and aahs, and then also during a more somber moment in the show, which was beautiful, but not quite as explosive as the other times. If you’re interested, a video is at the bottom along with a little more info about the holiday. The night was made better because we were able to share it with the gang. Andi, Anita, Edi and her fiancé Csaba were able to come, as were Györgyi’s brother Peter and his girlfriend Melinda, who were in from London. 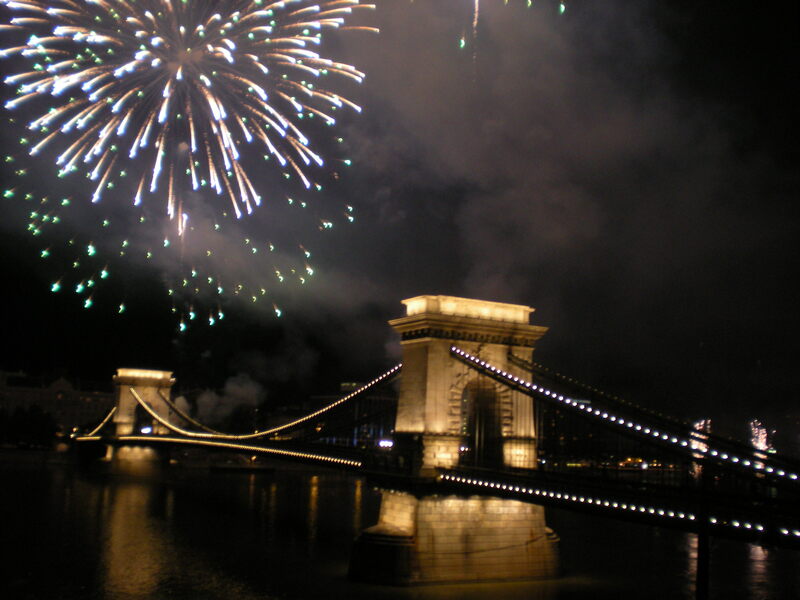 More about St. Stephen’s day: The patron saint of Hungary is Stephen (István). The tidy story is that he was born Vajk to the pagan chief Géza, was baptized as a Christian at ten, and after a long and successful battle with his eeeeevil pagan uncle, Koppány, ultimately brought unity to the Magyar tribes and Christianity to Hungary. Pope Sylvester II gave him a crown and in 1083, Pope Gregory VII canonized him. 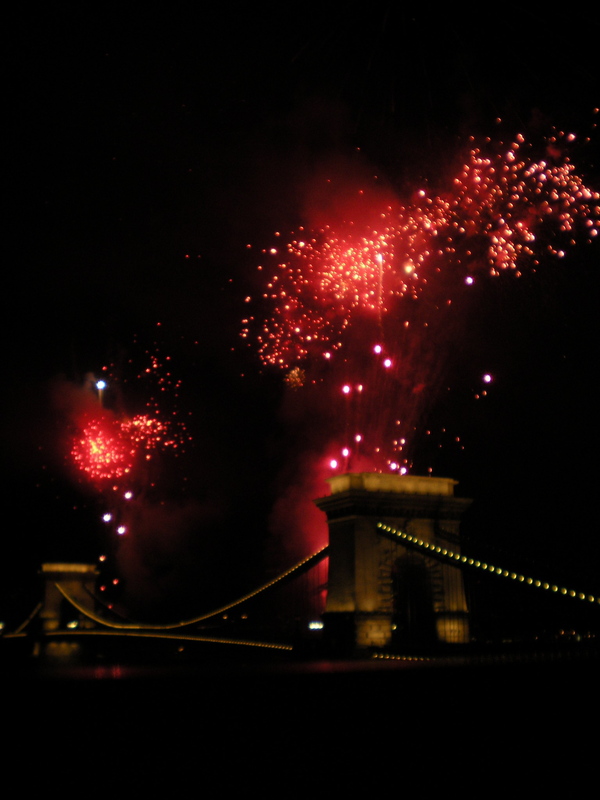 The day is a public holiday in Hungary and it commemorates when St. Stephen’s relics were transferred to Buda. During communism, they tried to de-emphasize the saint-y-ness of the holiday and call it a celebration of new bread or celebration for the end of the harvest, but since then, the saint-y-ness has been back, baby! Thank you for your message, and for not touching my perfectly organized papers. Today I almost found the document I was looking for, but finally it slipped out of my hands somehow. You’re very welcome, and even though I was tempted, I just didn’t have the heart to touch or mess up your perfect, systematic organization 😉 Luckily you can’t see my desk and comment on it– that’s why I feel so safe.